Julie Cillo brings over 20 years of experience in family law to serve the clients of Owen & Owens, where she focuses her practice on divorce, equitable distribution, child custody, child support, alimony, property settlement agreements, prenuptial agreements, and other domestic relations issues. Julie is a Fellow in the American Academy of Matrimonial Lawyers and one of only 55 Fellows in Virginia. AAML Fellows are recognized by judges and attorneys as leading family law practitioners with a high level of knowledge, skill and integrity. She is an assertive litigator, skilled negotiator, and experienced collaborative law attorney. 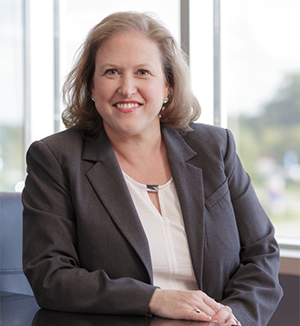 Julie has also served for many years in leadership positions with the Virginia Trial Lawyers Association where she has been a member of both the Board of Governors and the Family Law Coalition and previously served as Chair of the Family Law Section. Julie is also an active member of the Metro Richmond Family Bar Association where she previously served as president, the Richmond Bar Association, and the Henrico Bar Association. Julie is highly regarded by her peers and others in the legal community; she is a frequent lecturer and author for programs throughout Virginia for attorneys on family law, divorce and custody matters. For the past nine years, she has been listed in Virginia Business magazine’s Legal Elite in the domestic relations category. Since 2008, she has been named to Virginia Super Lawyers. She has earned the added distinction of being named one of the Top 50 Women Attorneys in Virginia in 2015-2017, one of top 100 lawyers in Virginia and one of the top 50 lawyers in Richmond.